The Panther Party Athletic Fundraiser is back at Russellville Jr./Sr. High School, but in a different format. “We have spent countless hours planning a fun-filled night for our Panther Community and Supporters. This year we will have a comedy show, catered dinner, and the opportunity to participate in a silent auction. 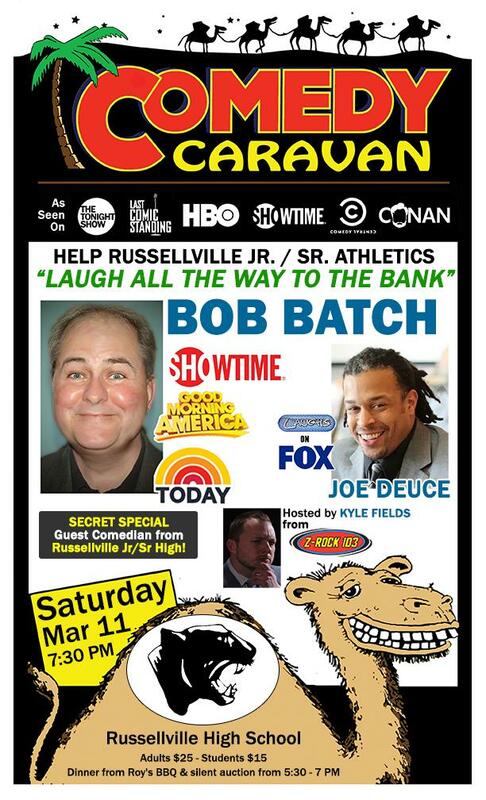 All proceeds will benefit the Russellville Athletic Department,” says Athletic Director Calvin Head. A “Secret Special Guest Comedian” from RHS is also promised. The party will be held Saturday, March 11, with dinner at 5:30 p.m. and the show to start at 7:30. Tickets are $25 per adult and $15 per student. The price includes both the dinner and the show. Head says tickets will be available at tonight’s home game, or they can be purchased from Juli Link at the school or Tracey Gilbert at First Southern National Bank.